This flagship title by Klutz has been a classic for 30 years. 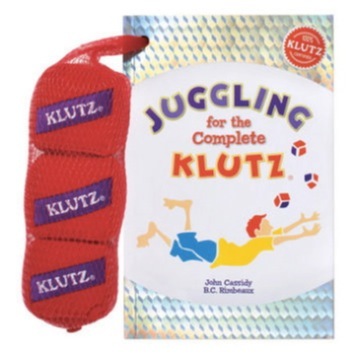 This book includes not only step-by-step instructions with illustrations of how to juggle, but also three "square" juggling bean balls. This great gift for tween boys and girls gets kids away from the TV and provides an activity that parent and child can enjoy together. This book allows kids to develop a pastime that they might one day pass on to their own children!